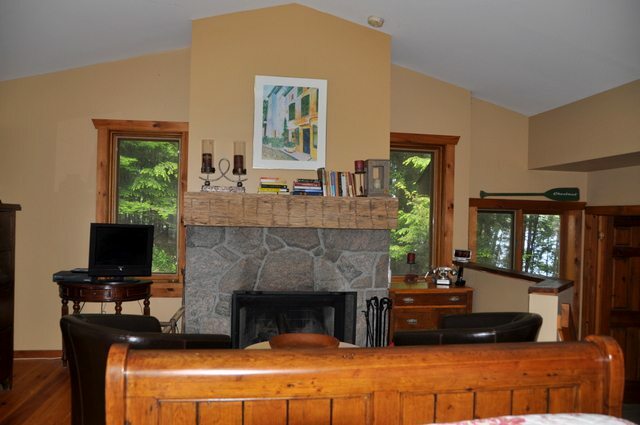 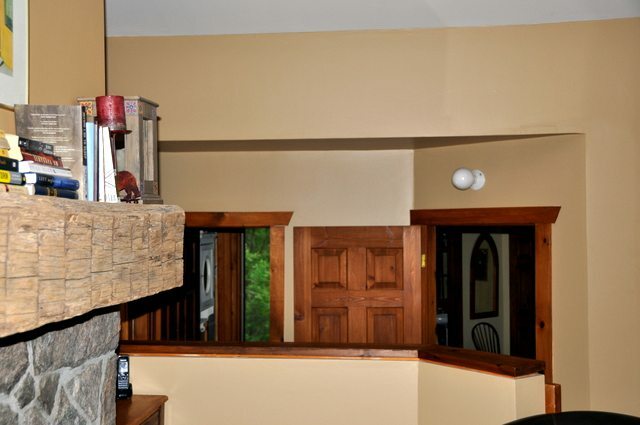 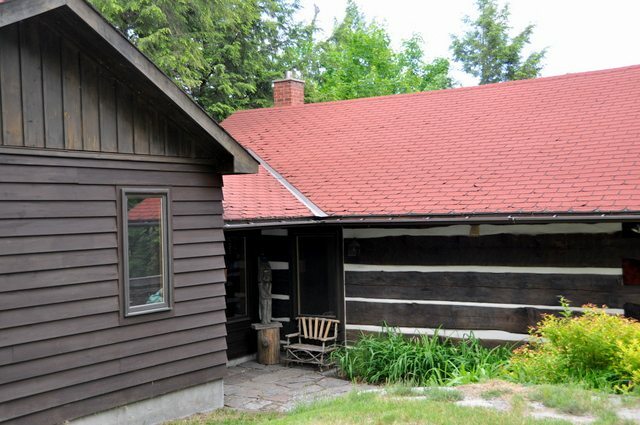 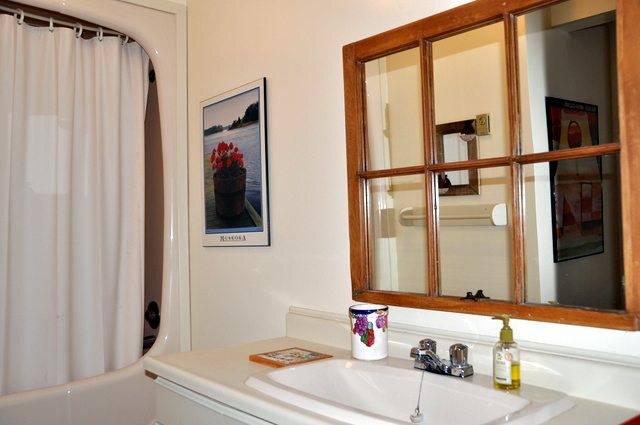 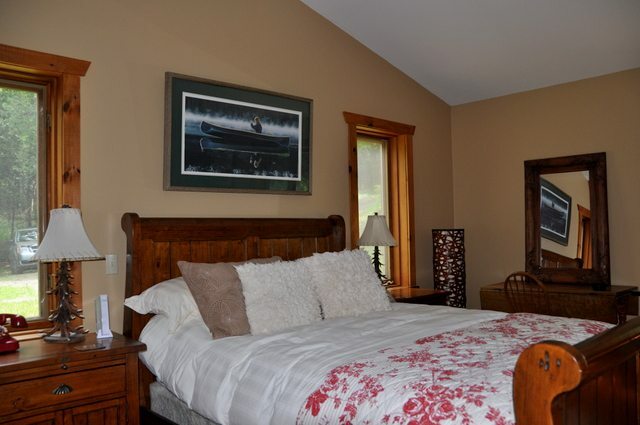 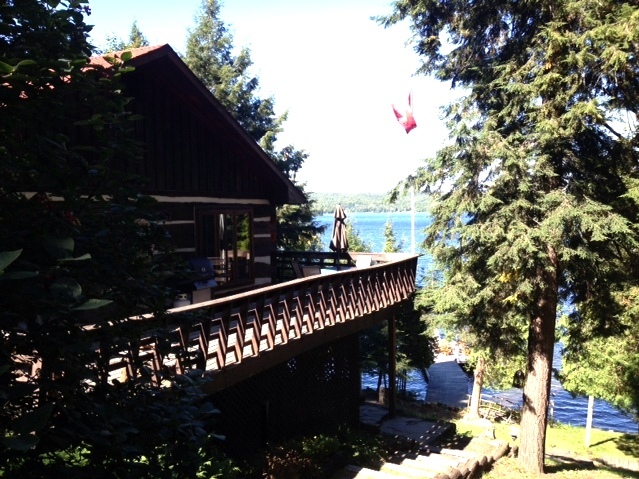 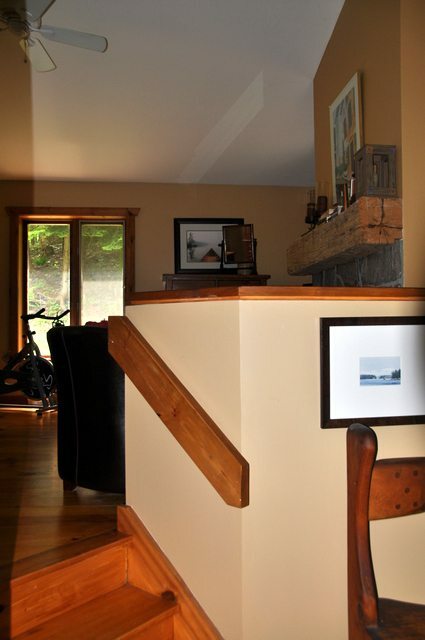 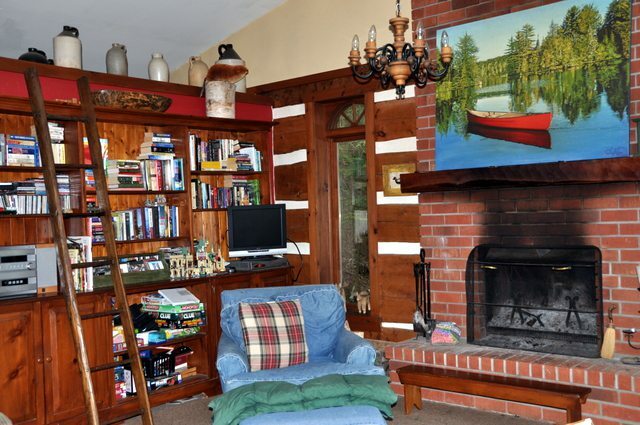 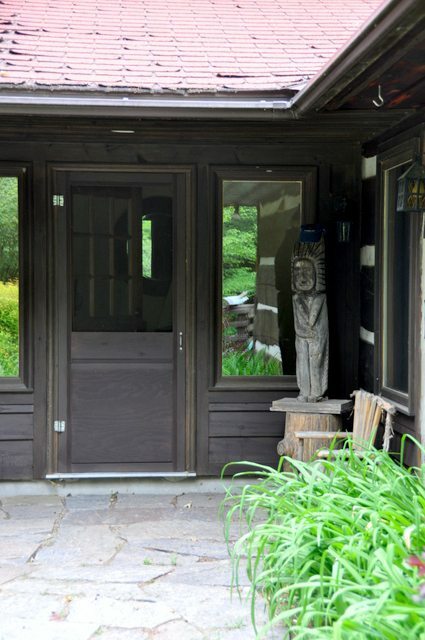 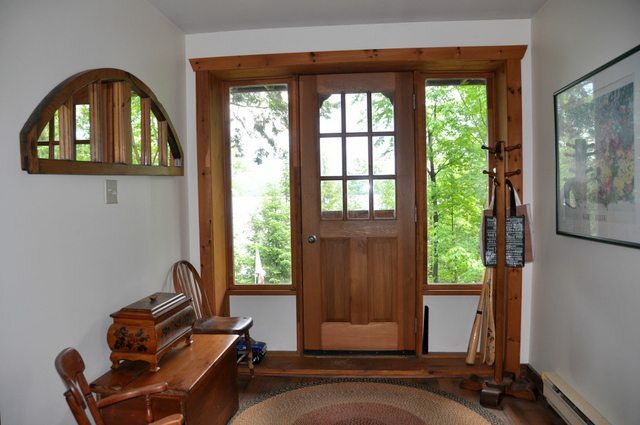 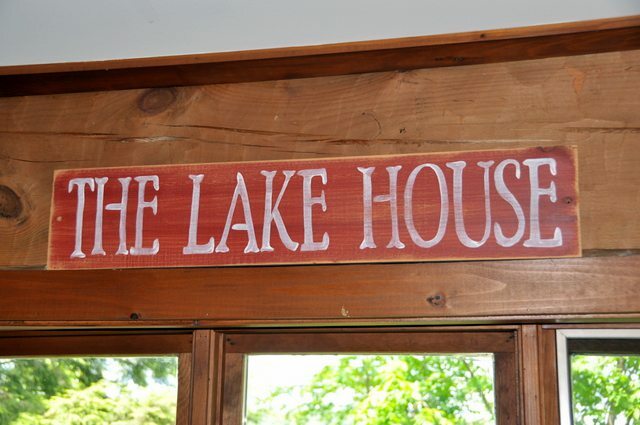 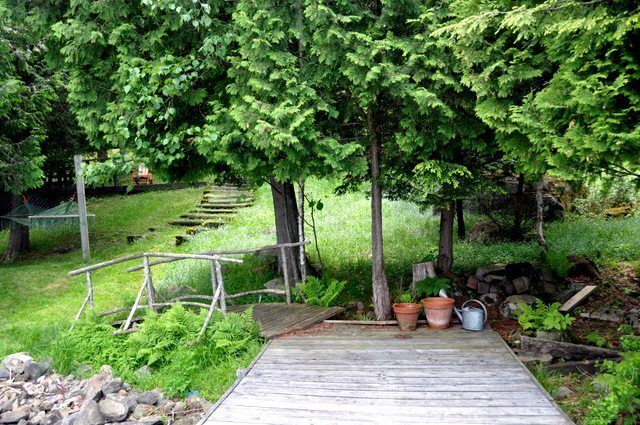 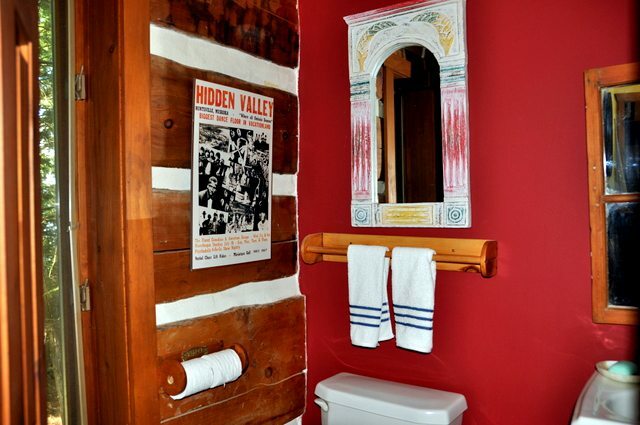 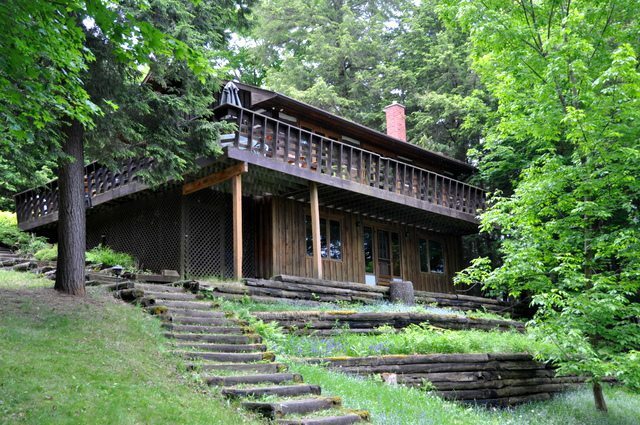 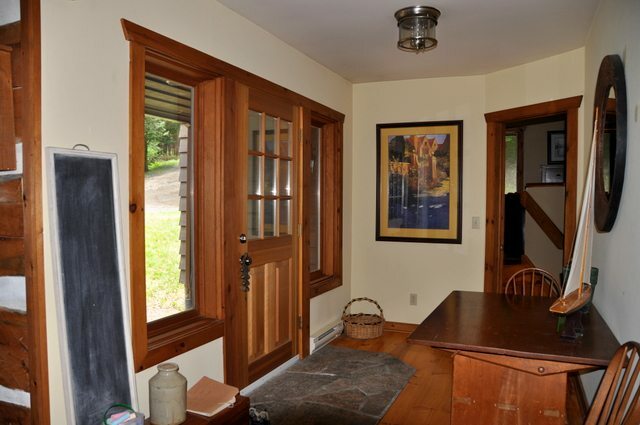 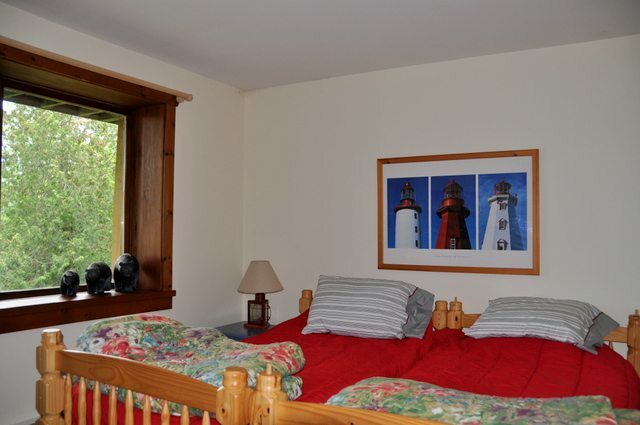 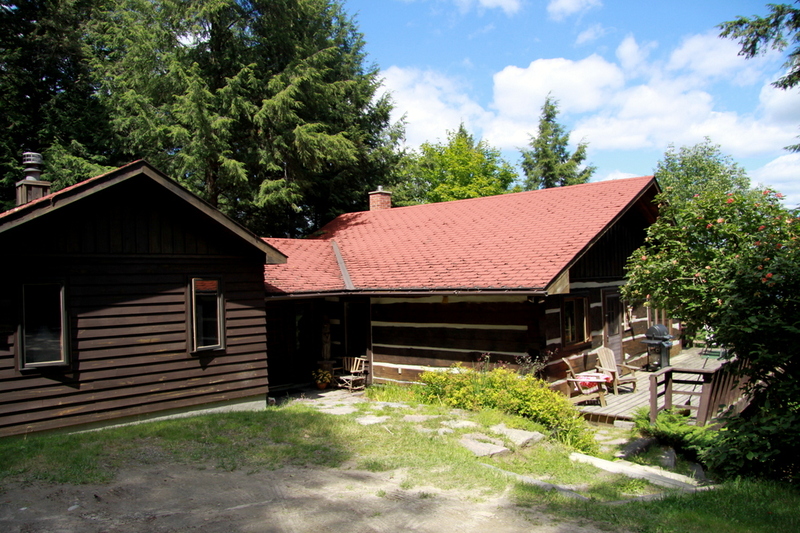 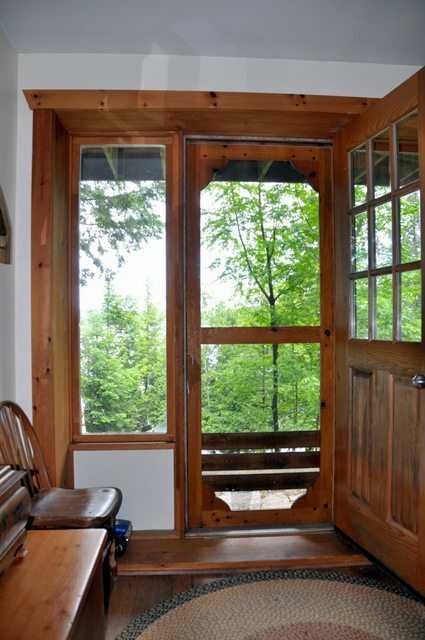 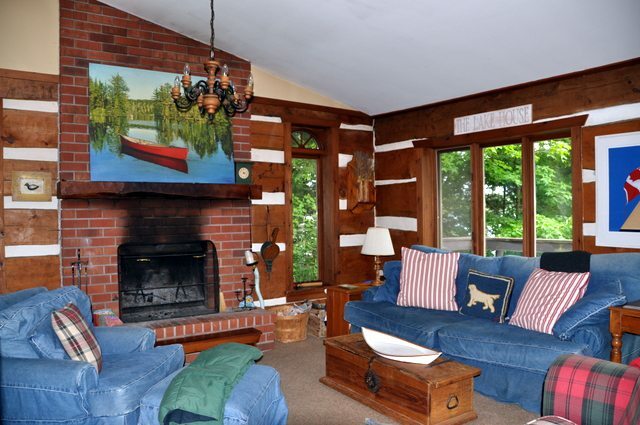 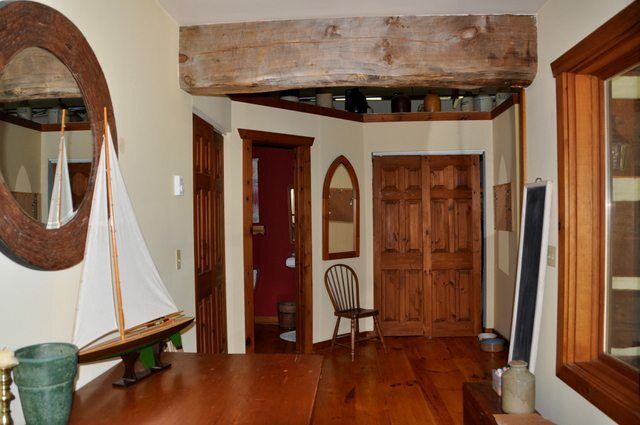 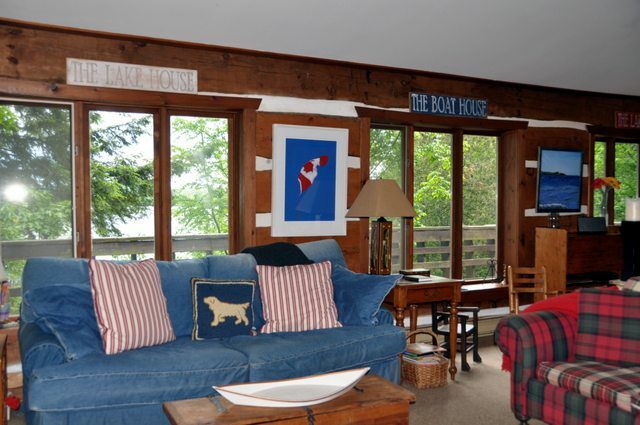 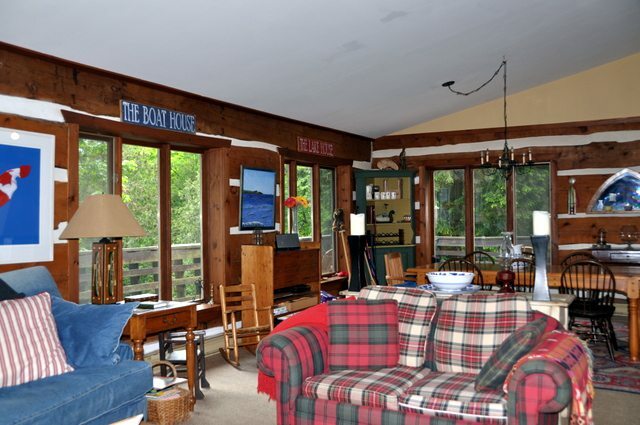 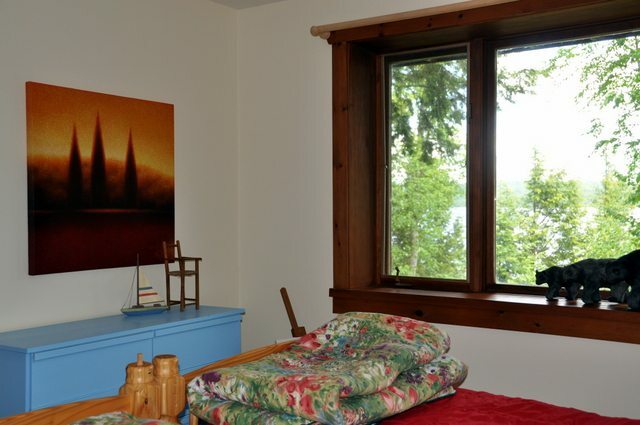 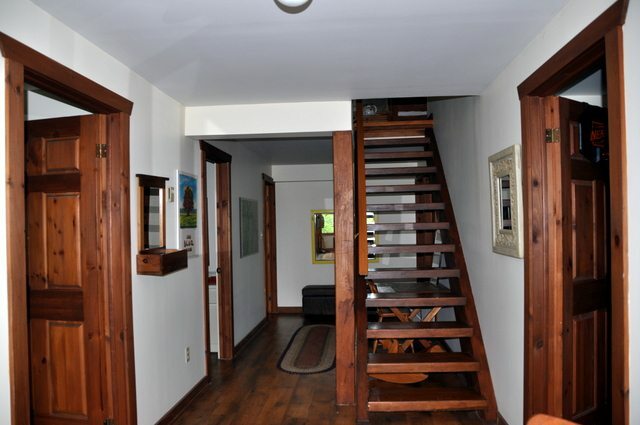 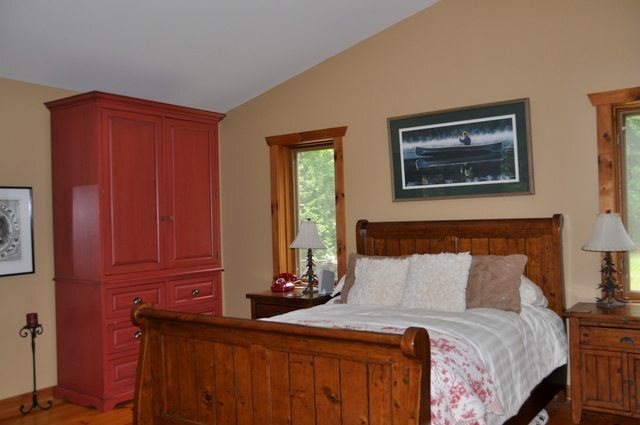 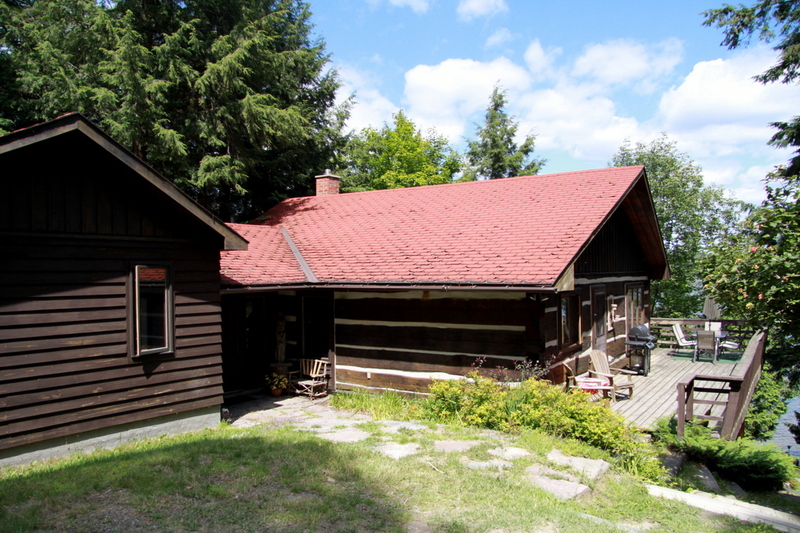 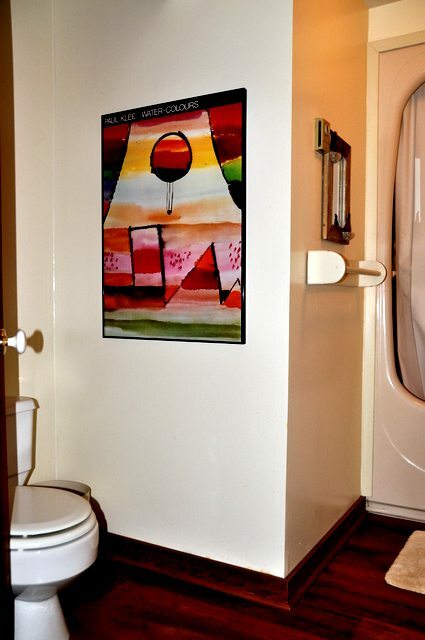 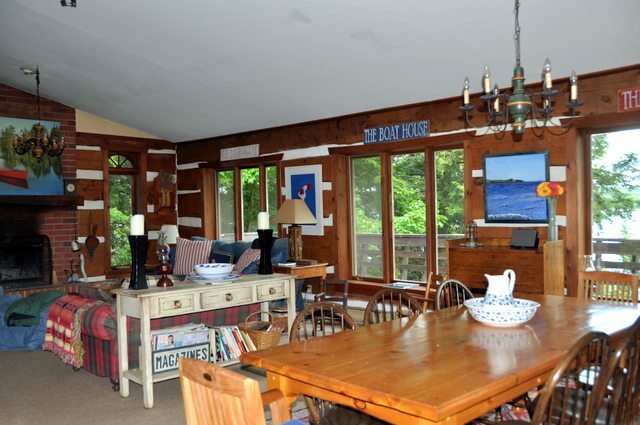 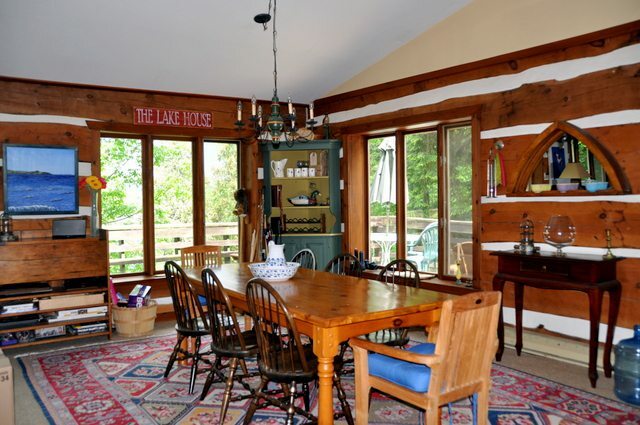 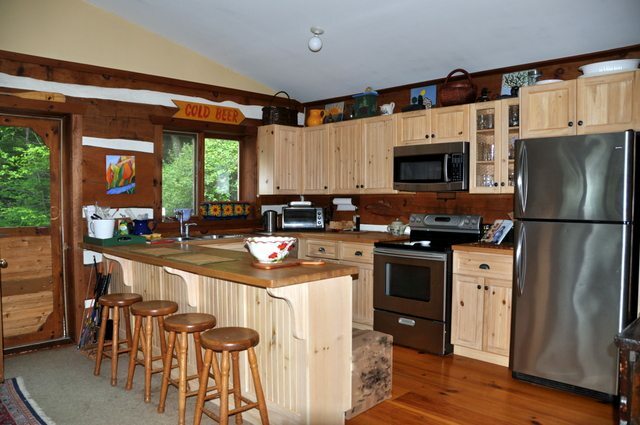 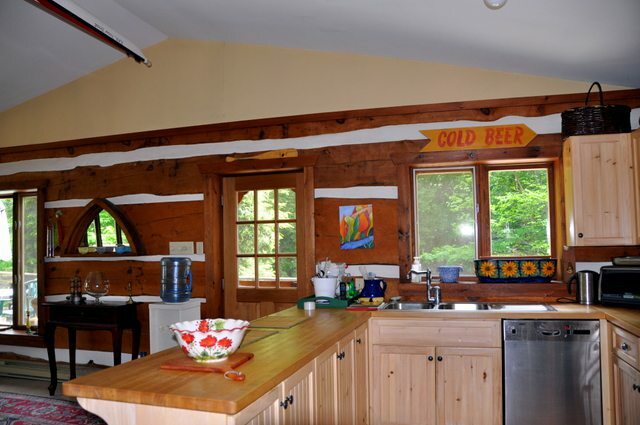 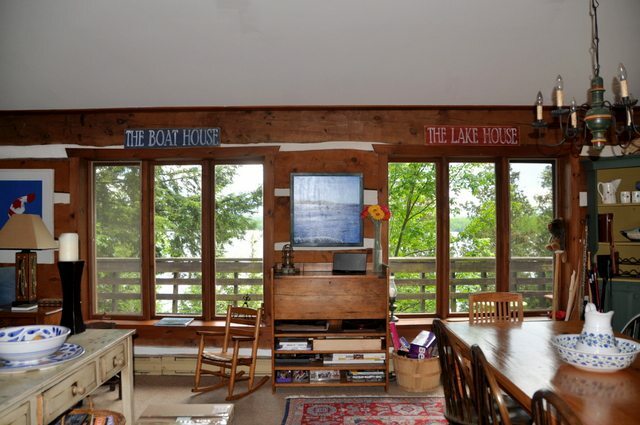 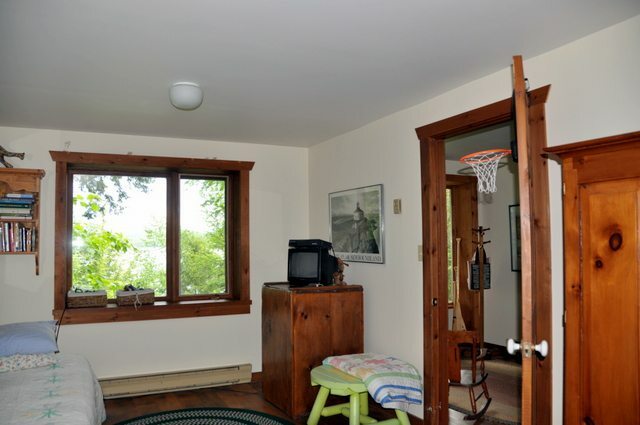 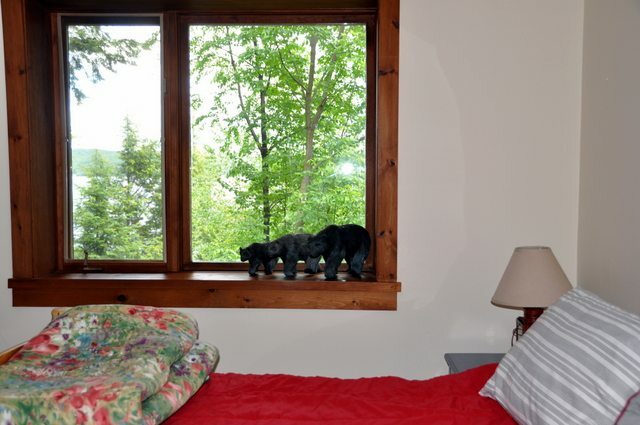 This wonderful 3 bedroom log cottage is ideally situated on beautiful Peninsula Lake. 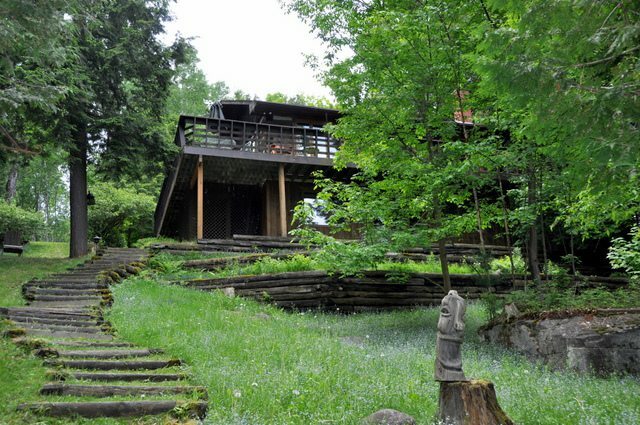 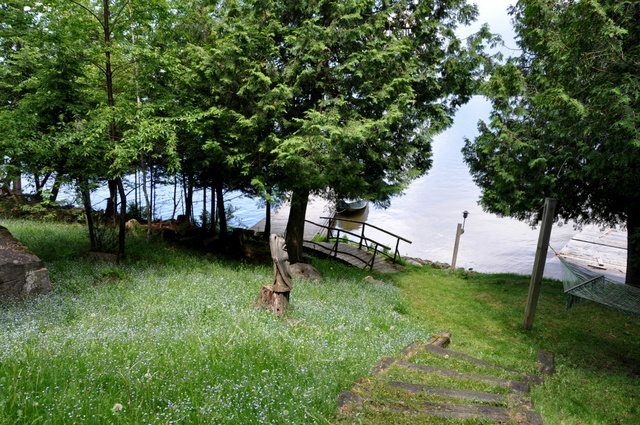 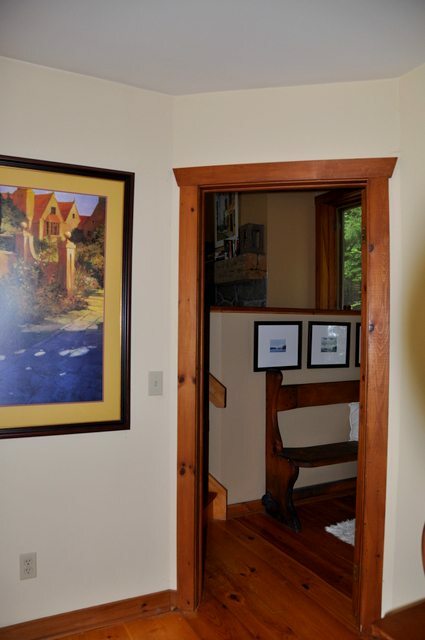 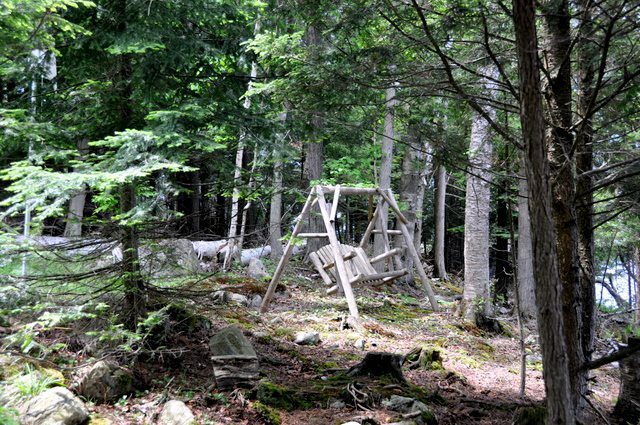 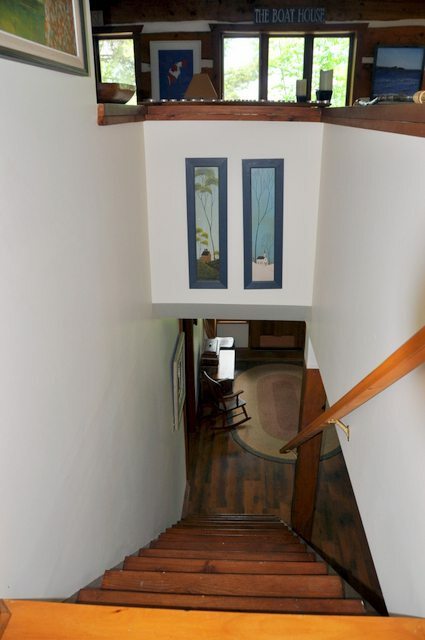 It is elevated from the lake with a path of wood steps to the waterfront, and from both the dock and the deck the view is calming and peaceful. 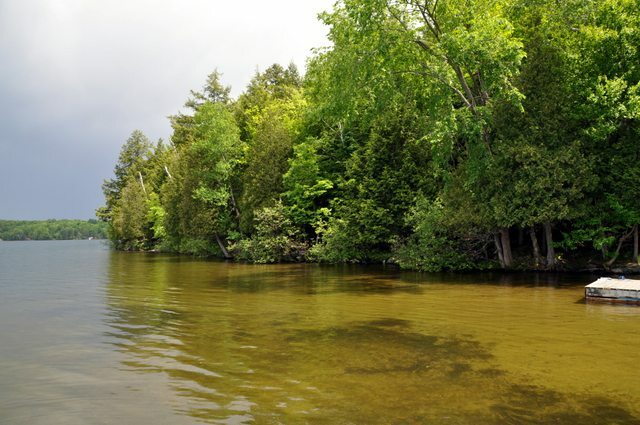 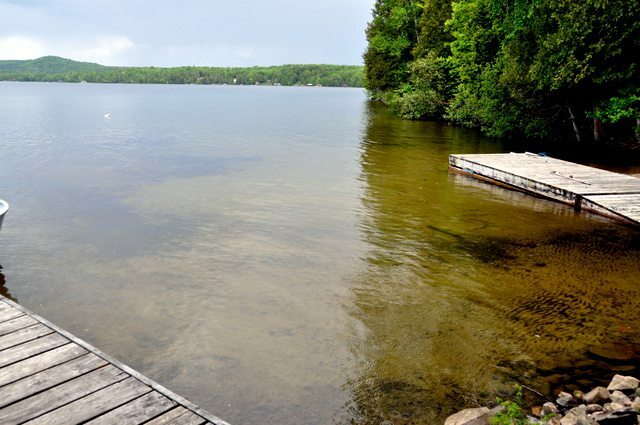 The waterfront is natural vegetation to one side with a glorious hard packed sandy lake entrance on the other side. 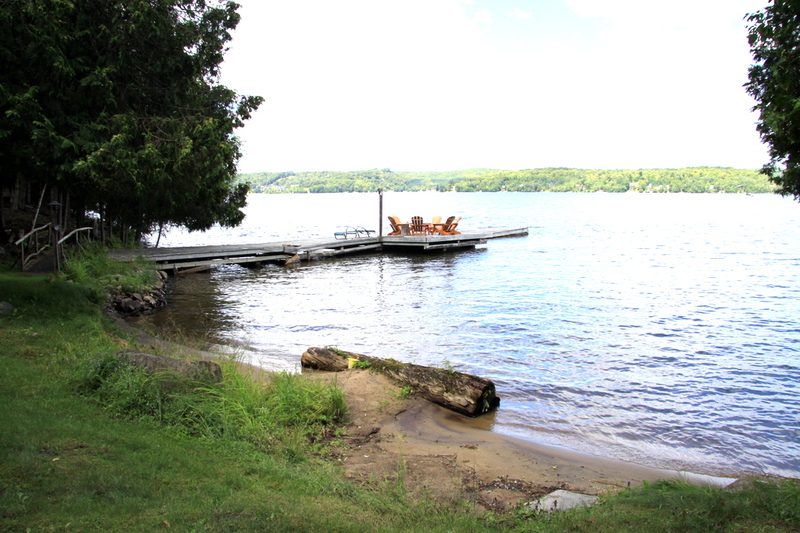 The younger kids can splash and play all day long in the shallow, sandy entrance off the gently sloping lawn into the lake, while the older kids and adults can swim for hours from the end of the dock where the water depth is about 4 feet. 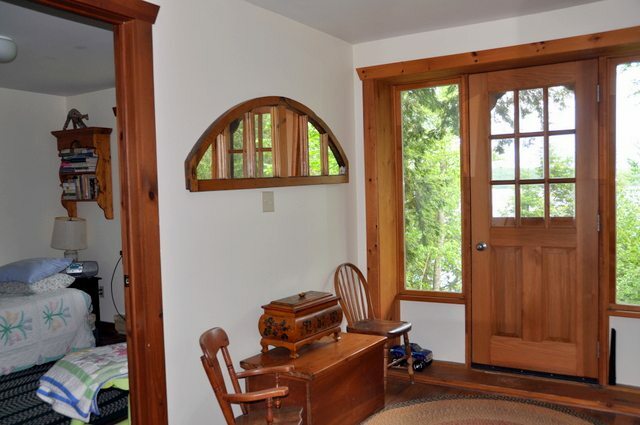 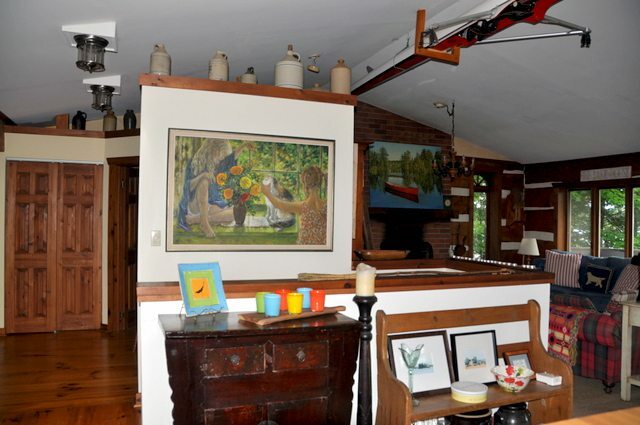 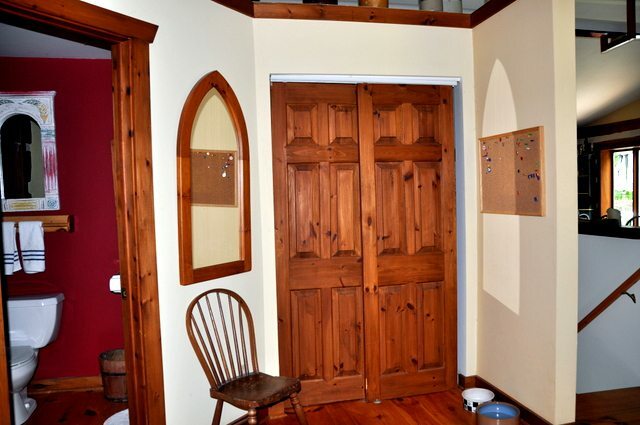 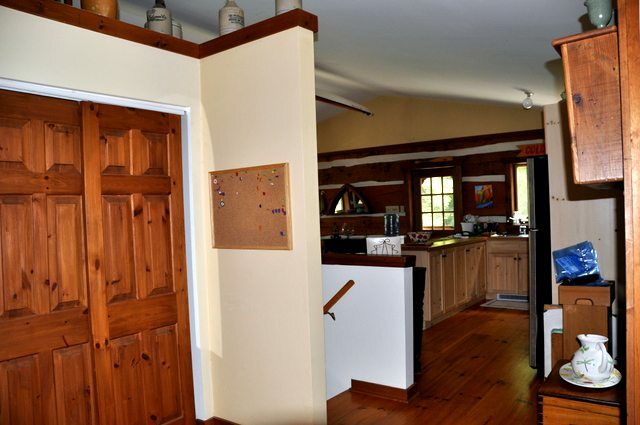 The interior of the cottage is bright and spacious. 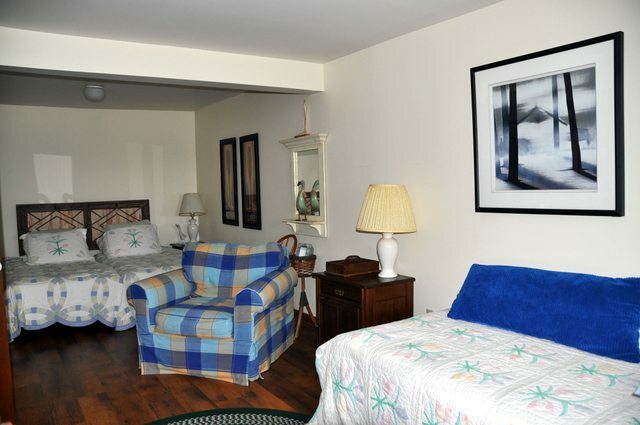 With the rare combination of modern accents and comfy cottage furniture, every room offers a different and inviting ambiance. 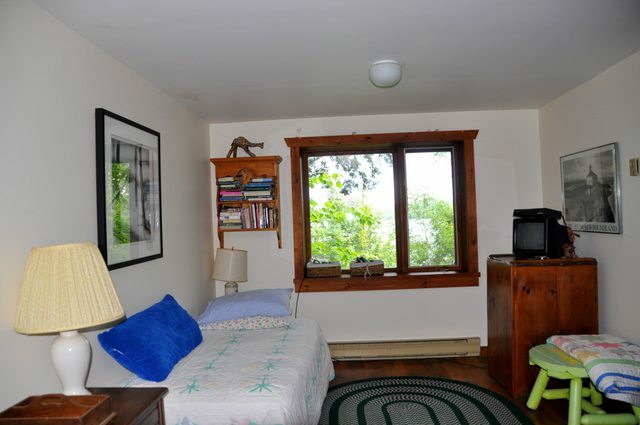 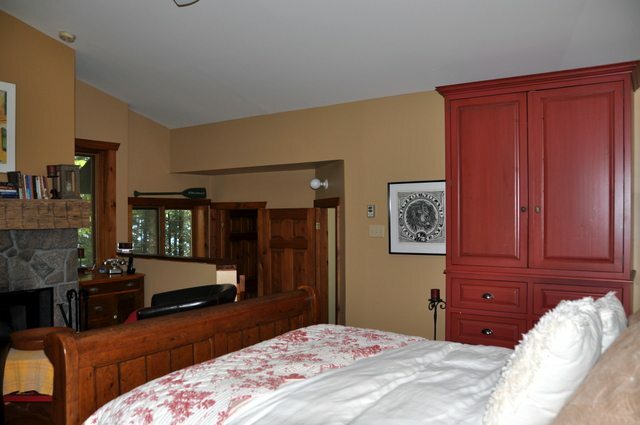 The master bedroom is an oasis onto itself. 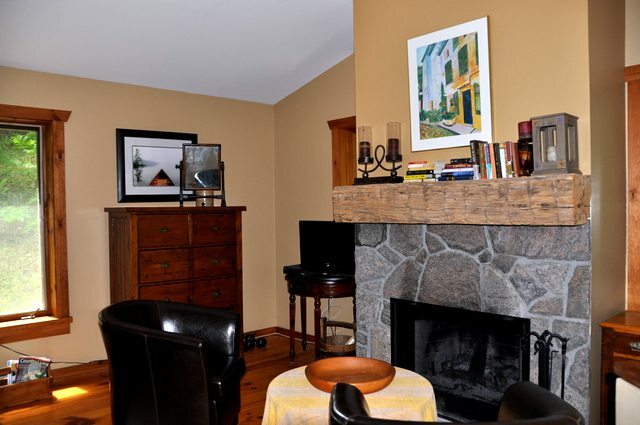 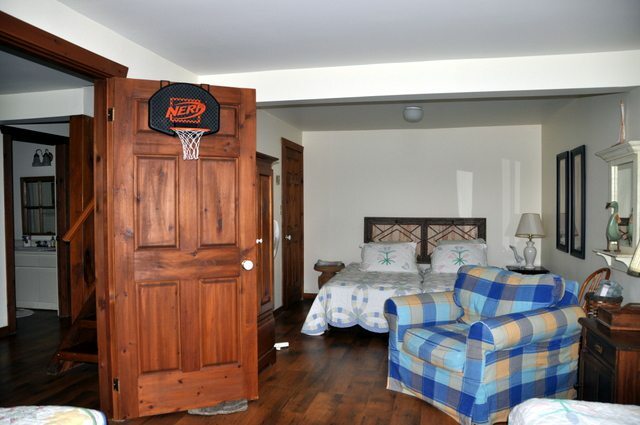 Just steps off of the main entrance and steps up into it, you are welcomed by its warm decor combining pine furniture and pine sleigh bed alongside modern, comfortable leather chairs in front of the granite and wood mantel fireplace. 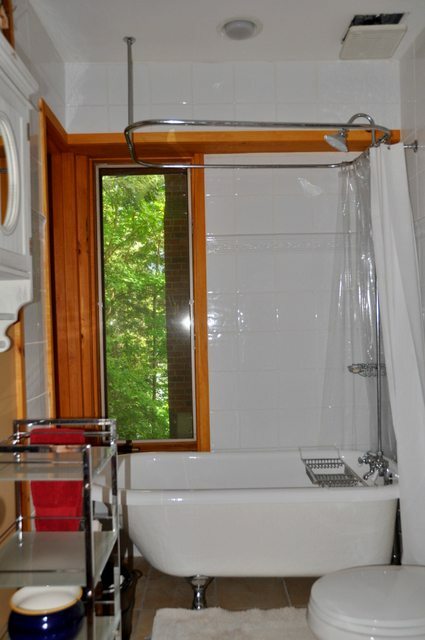 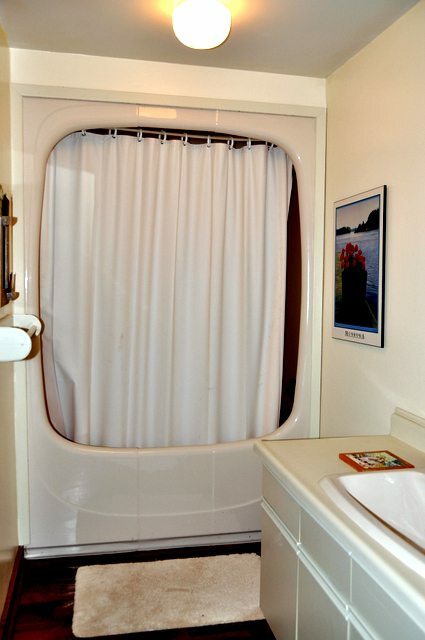 The en-suite bathroom continues the combination of old and new with its claw foot tub and glass and chrome accessories. 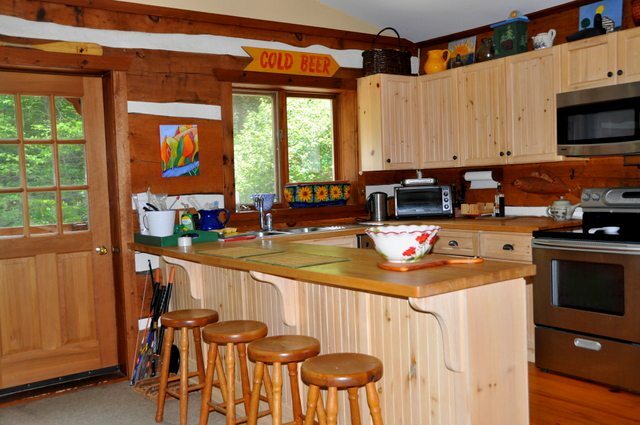 The open concept kitchen, dining and living area is the perfect spot to enjoy family dining and late evening get togethers. 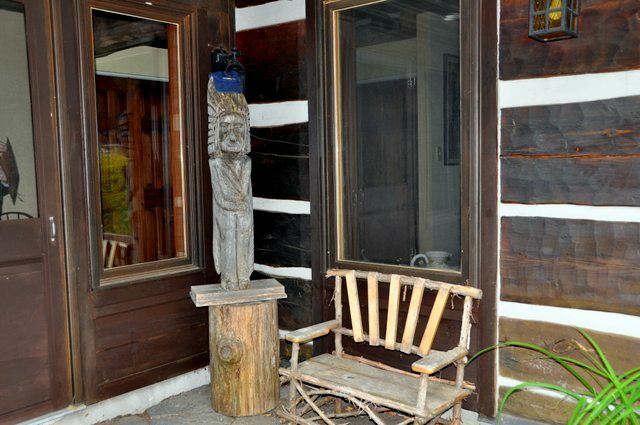 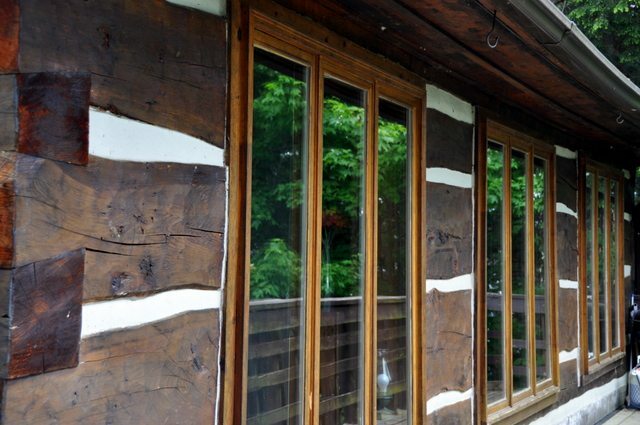 With a multitude of large windows on all 3 log cabin interior walls, you never feel that you are not enjoying the great outdoors by being inside. 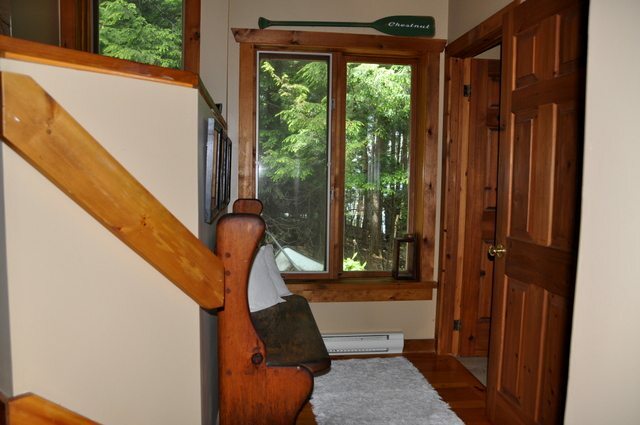 The lower level 2 bedrooms both face out towards the lake with a common foyer and exit to the walk out lower stone deck area. 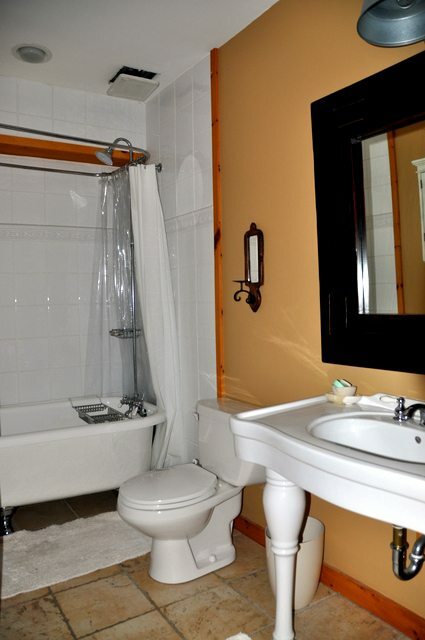 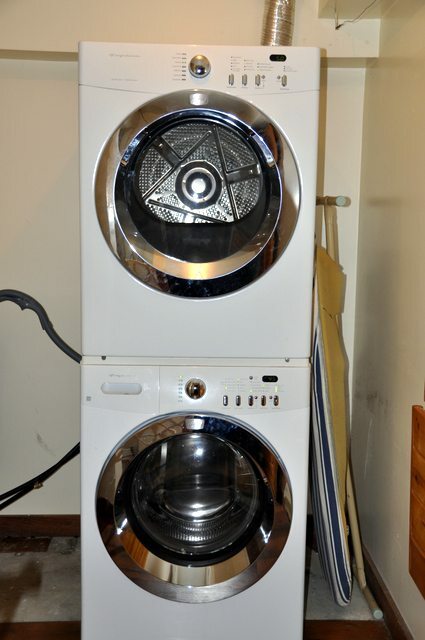 Another 4 piece bathroom and laundry round out the lower level. 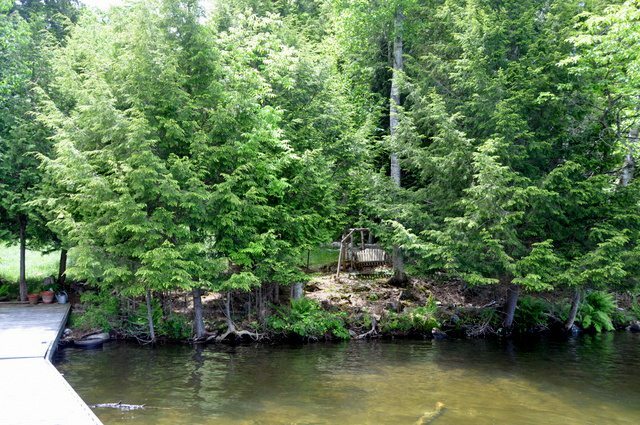 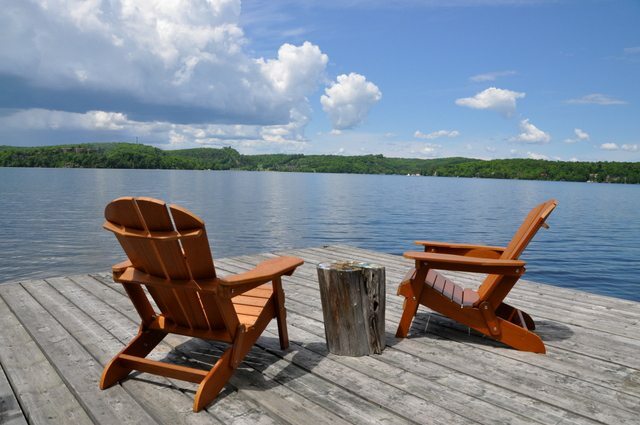 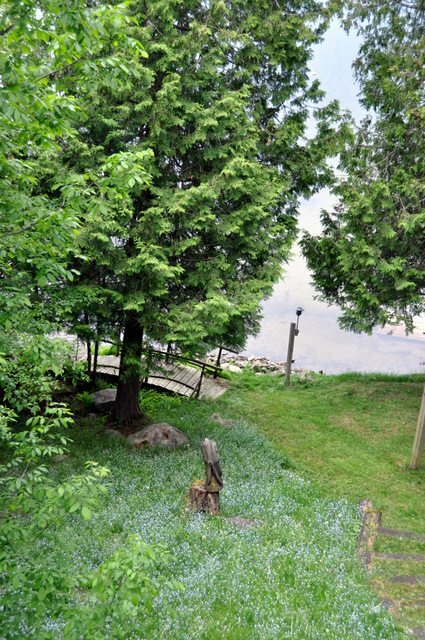 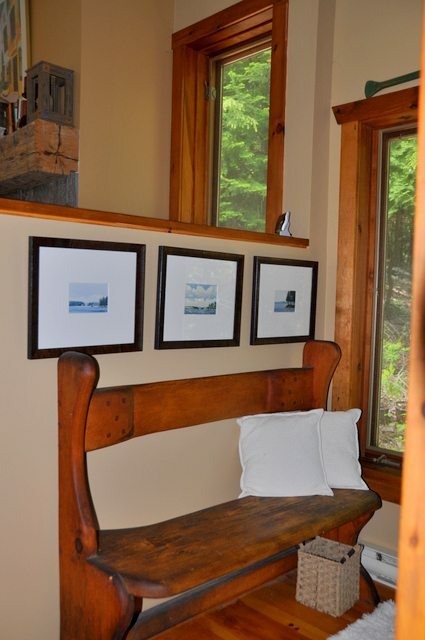 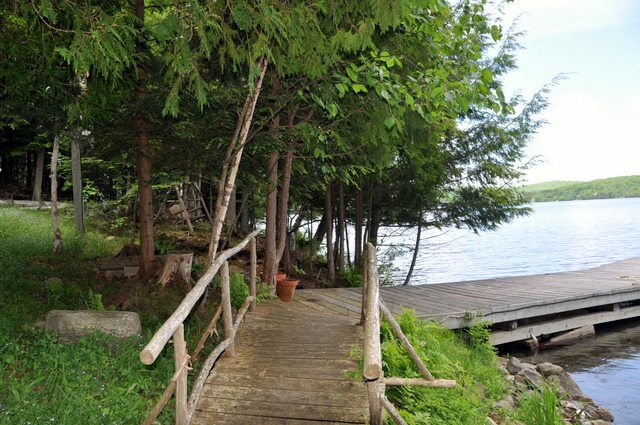 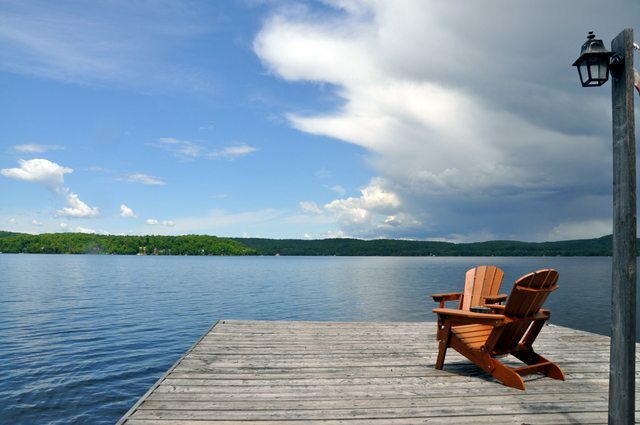 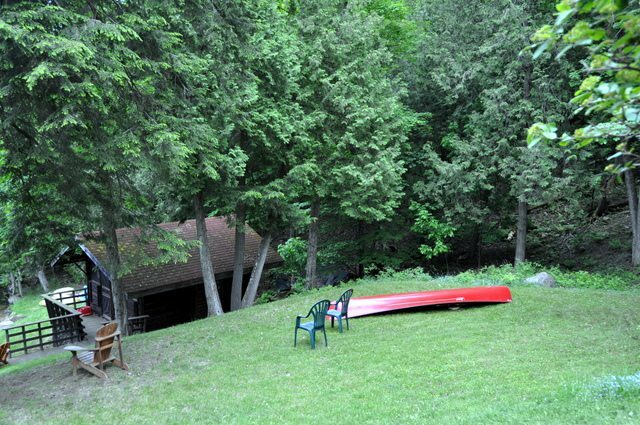 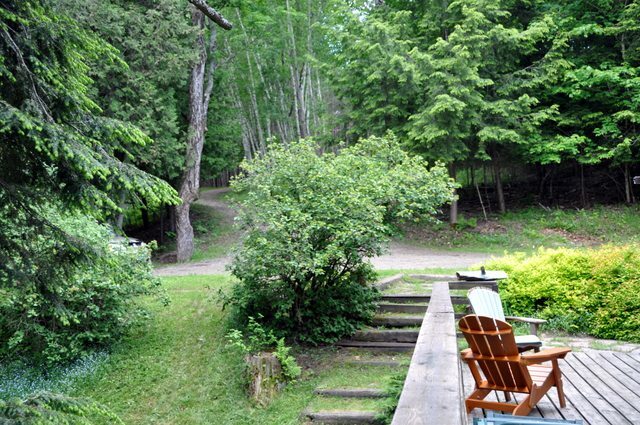 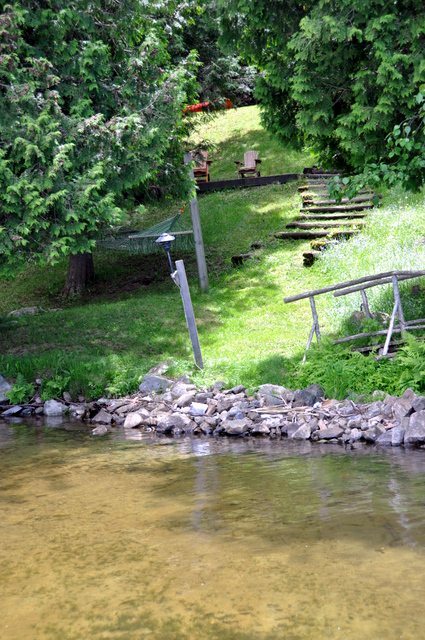 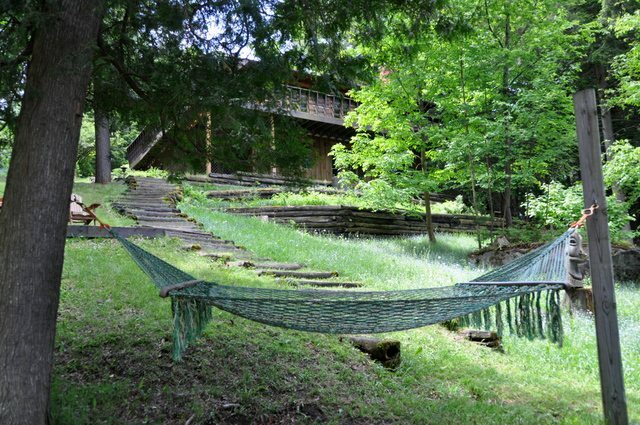 Whether on the deck with a tree top view of the lake, or basking on the sunny dock and beach, this beautiful, private cottage property offers both sun and shade for everyone to enjoy their days as they please, could you ask for anything more! 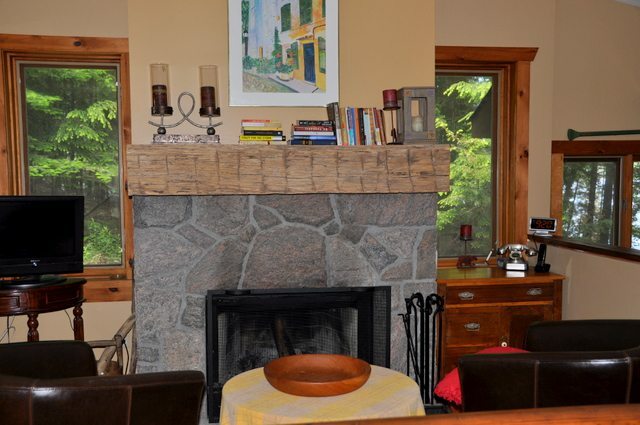 Pets upon approval, no smoking, maximum number of occupants is 7, bring own linens and towels, bring own drinking water, NO fires in fireplaces please, noise restriction after 11 PM.